to Purusha. Before exploring the site one must understand it is one of the oldest and biggest temples within the periphery of kerala. 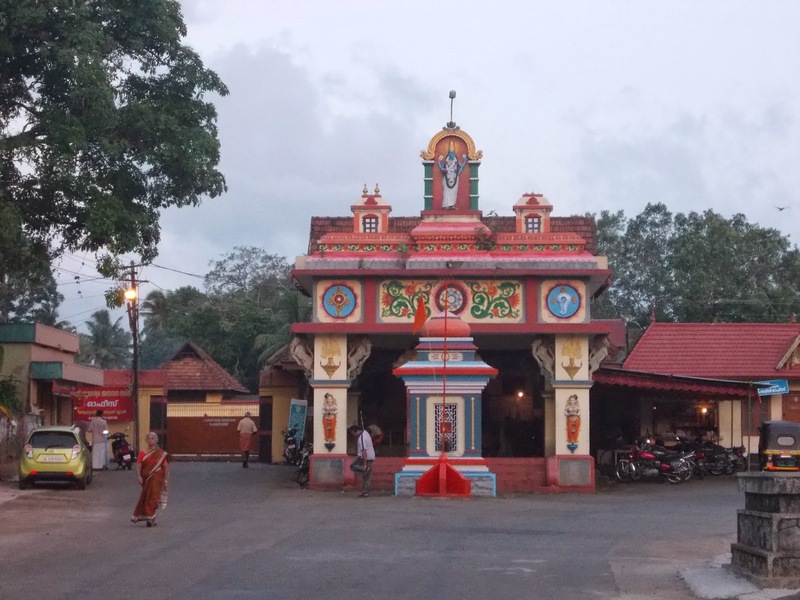 Located within the site of Thiruvalla town this temple is one of the major destinations of tourist and devotees who travels a long distance just to catch a glimpse of main shrine. Being one of the 108 Divya Desmas the temple is structured with beautiful work of architecture. Within the site of temple Kathakali is played every day to reflect cultural aspects of Kerala and it is also believed that it is performed to offer respect and homage to presiding deity. One of the most bemusing factor is temple follows its own protocol when it comes to worship the god and you will be shocked to know the method of prayer they follow are nowhere to be found and that’s the prime reason why the temple is distinct in many features and phrases. When it comes to manage and maintained the functioning of the temple one must regard the efficient administration of Travancore Devaswom Board. As per the history the present site of Thiruvalla was amongst the 64 villages of Namboothiri in Kerala and they say the site refuge an oldest human settlement. When it comes to the name Thiruvalla one must understand its association with Manimala River. As per the historical proof humans started to inhabit before 3000 B.C and the inscription reveals that temple of Sudarshana Chakra was built in 2998 BC. It was in 1100 AD when temple came into limelight and started governing Vedic school beside that in due course of time temple was also housed with Ayurvedic hospital where they have facility to admit more than 100 patients at one time. Another historical evident that reveals an importance of the side is Garuda Purana where it has mentioned the word vallabha kshethram and another tale is associated with an appearance of Lord Vishnu and since then temple started developing its own protocol. When it comes to describe its architectural affluence then one must understand the temple is not only renowned for spiritual vibes but an architectural influence and splendid designs have made this site one of the most allured and gratified. Talking about its magnitude, while you a pay a visit here you can simply see its unique customs and exquisite wooden carvings which is well complimented by a wonders of Mural paintings. Alvars and ancient work have glorified the unique charm of the temple. When it comes to compilation of this divine temple many legends have played and grace the site and amongst all the legends the following mentioned needs special reference such as Ascend of Sreevallabhan’s idol to the earth, Tapasya of sage Durvasa, Khandakarnan and his bells and Journey of Sreevallabhan’s idol. Located just 750 m away from south to Ramapuram vegetable market and just a meters away from Kavumbhagom Junction, Thiruvalla-Ambalappuzha state highway would be an easy call for you if you wish to reach the site by road. Via rail one should remember the name of Thiruvalla railway station which is just 2.5 km away from the site of the temple. Really very nice and informative blog. Kerala is really beautiful destination to visit in India. So enjoy its natural beauty in special offer of kerala tour package at best available price.